The best thing about siblings, especially if you are the younger one, is eventually you get to share the goodies. So from clothes to gadgets, you know you'll get to call it your own, someday. 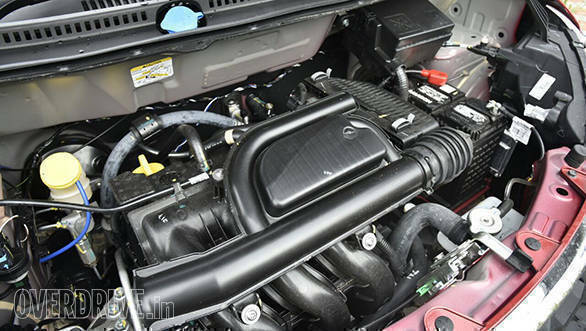 In the automotive space, the Datsun Redi-Go is one such sibling that has finally received what the elder brother, the Renault Kwid, has -- the new 1-litre petrol engine. 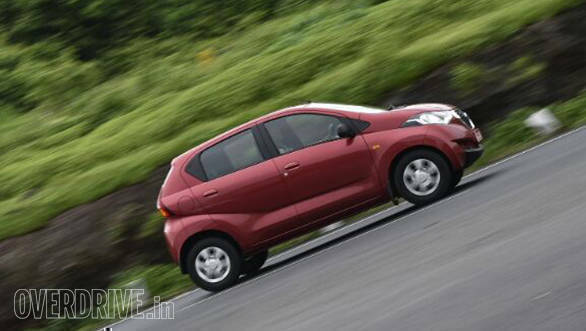 Datsun calls it the 1.0 i-SAT which stands for Intelligent Spark Automated Technology. It automatically adjusts the spark timing in response to fuel quality and power requirements. For the number crunchers, the motor in the Redi-Go develops 68PS (up from 55PS in the 800cc redi-Go) and 91Nm at 4,200rpm. I remember driving the 800cc Redi-Go during a comparison test and immediately noticing how laborious the engine felt when climbing a steep flyover, especially with three passengers. Also, with all the torque concentrated towards the initial part of the rev range, driving around town required constant gearshifts, which was an annoyance in traffic. 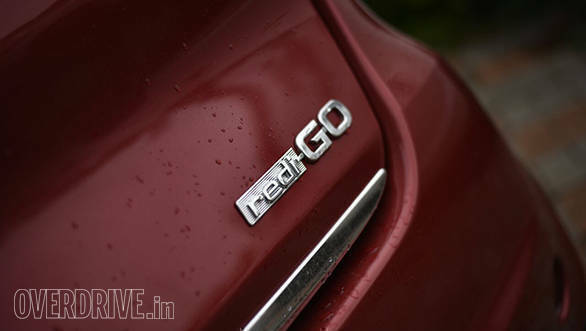 With the new 1-litre petrol, however, the Redi-Go seems to have found the go to match its name. Driving around the roads in Goa, the engine felt smooth and responsive across the rev range, and while tackling steep ascents the motor didn't feel completely out of breath too. For instance, there were a few inclines that could be scaled in second gear, and I'm pretty sure I'd have to downshift to first if I was in the 0.8-litre Redi-Go. The torque is spread quite nicely across the rev range, and you won't have to keep hunting for the power band, every now and then. You could, in fact cruise at 50kmph in fifth gear and a gentle prod of the accelerator would have the car gather pace without the need to downshift. That said, the engine does get quite audible when you give it the beans, particularly between the 4,000-5,000rpm mark. It's best to shift up at 4,000rpm, as up until then the engine does not complain too much. Speaking about noise, the sound insulation is pretty basic, so there is a lot of engine and tyre noise that filters into the cabin, especially at high speeds. 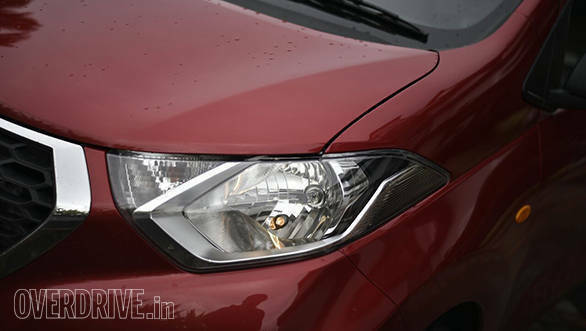 The Redi-Go's standout feature is its best-in-class 185mm ground clearance that's quite suited to our roads, or the lack of them in the monsoons. That said, the trade-off is body roll, which is pronounced when you decide to push it around a corner. It, however, didn't feel scary at any point while driving up and down Chorla Ghat. In a nutshell, the handling is predictable. The suspension does a good job of ironing out bumps and undulations but deep potholes will cause the car to thud when you drive across. 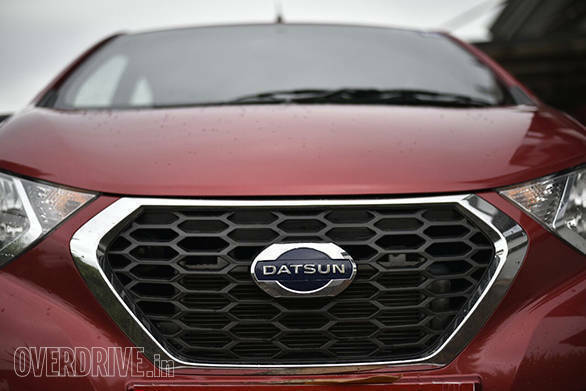 Besides the engine, Datsun has added a bit of distinction to the Redi-Go 1.0, but you won't find it on the outside, save for the badge. The Japanese Yukan design is distinctive. Though the looks may polarise opinion, I like the different flavour that the car brings to the segment. 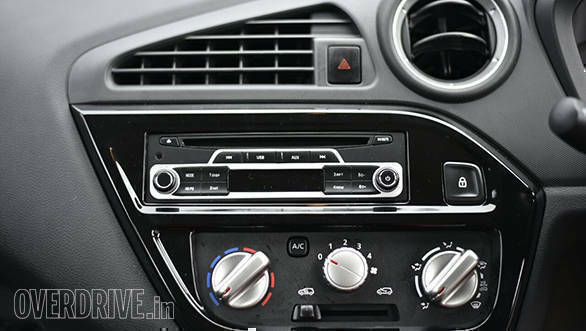 The changes are on the inside, and I quite like the all-black cabin, which looks way better than the cheap, dull and grey plastics on the 800cc model. The silver accents around the AC vents and the horn pad on the steering wheel also look neat. 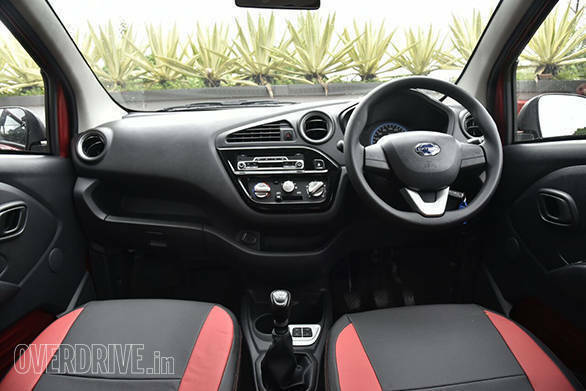 Overall, it's an improvement that finally brings it at par with the cabins in the Maruti Suzuki Alto and the Renault Kwid. 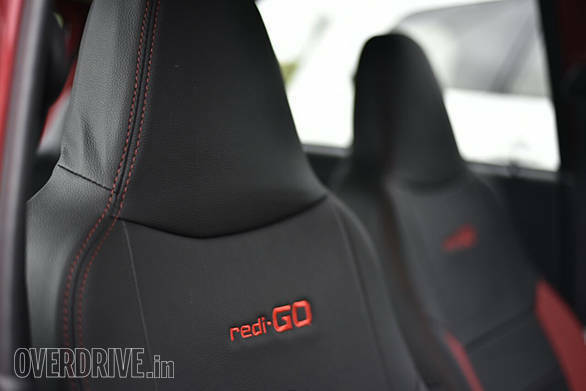 The sibling advantage has proved to be a big boon as the Redi-Go finally gets a motor that not only offers more power but also offers better drivability. That along with refreshed and spacious cabin makes it worthy of consideration, especially for those looking to ferry a small family of four. 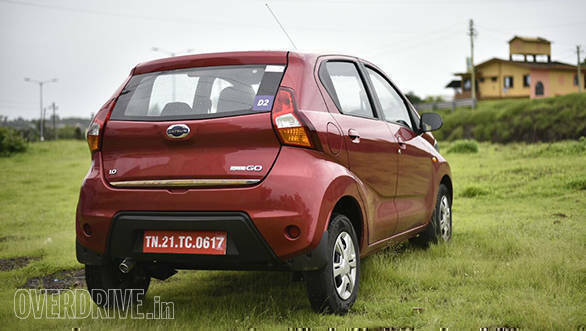 What remains to be seen is the price point Datsun places it at. 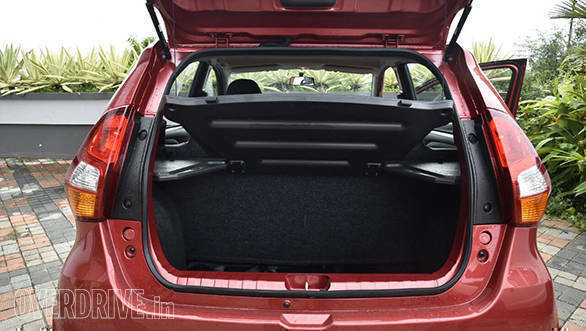 The entry-level hatchback space could get interesting.